Ground floor 2 bedroom 2 bathroom modern homes with gardens. 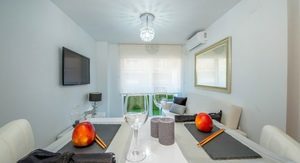 A New development of just 36 low rise properties in the thriving and prosperous town of Pilar de la Horadada offering smart, modern new apartments close to the beach, within walking distance of multiple shops, bars, restaurants and much more. 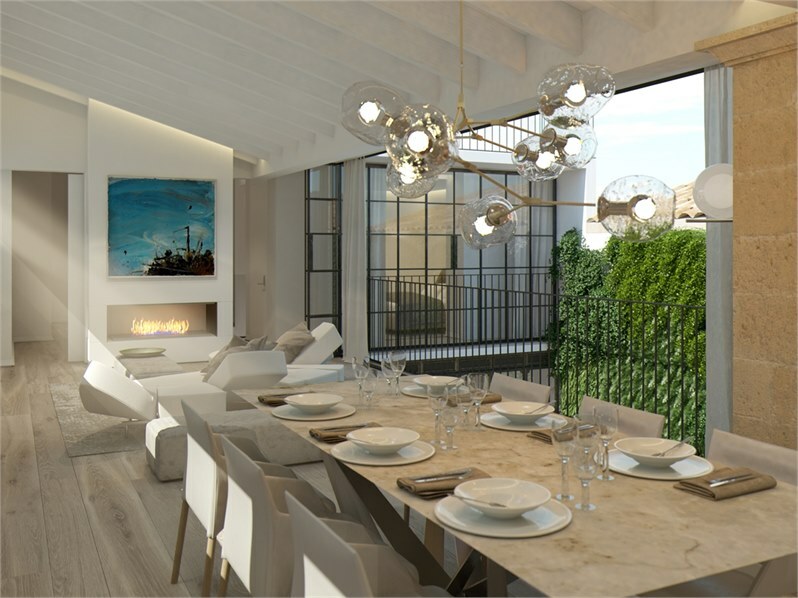 These high specification 2 bedroom 2 bathroom apartments offer either gardens or a roof solarium. 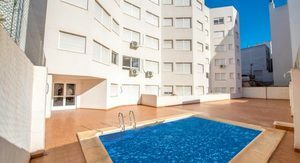 Located around a central pool these properties are around 50 minutes to Alicante airport and 30 minutes to the new Regional Airport of Murcia. 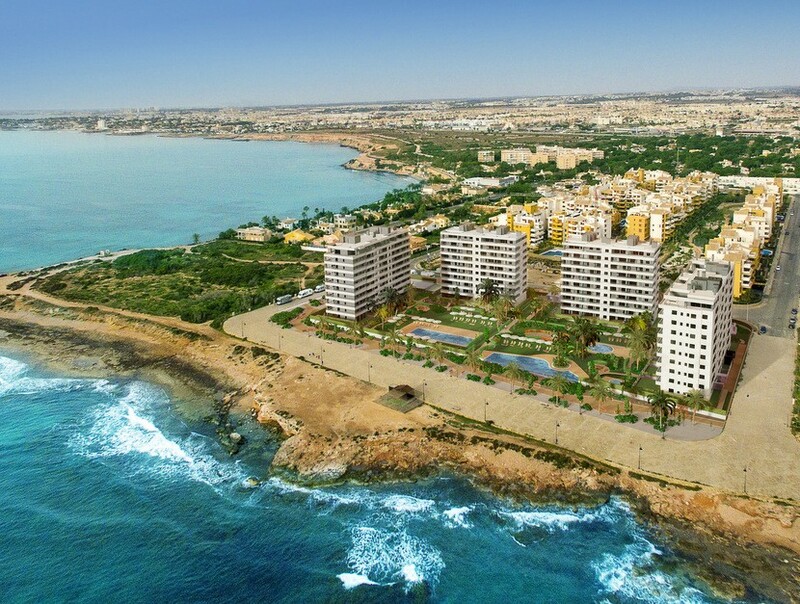 The beaches of Torre de la Horadada are minutes away and Dos Mares and La Zenia Shopping centres are nearby. Dont miss these. Villa Astorga, another new design, of 274m2 (including 21m2 covered terraces and 27m2 shaded terraces). Designed for an elevated plot this villa has 3 bedrooms and 3 bathrooms. We have several plots in Calpe to choose from. 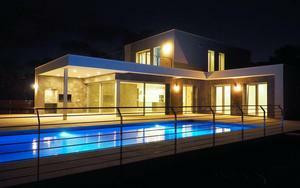 But we have projected this villa on a plot, on walking distance to the la Fossa beach, shops, restaurants, and bars. This plot of land is an ideal spot to construct one of our beautiful Villas. It is completely flat if privacy is your preference, you can have a private garden hidden behind higher walls. With other exclusive villas in the neighborhood, and easy access to local beaches which are reachable by foot within 30 minutes a property here will be a great investment for living or renting. Villa Isabella. A largely detached villa 399m2 (including 137m2 covered terraces), this villa offers 5 bedrooms and 4 bathrooms, a separate cloakroom, a 90m2 living-dining area, and a quality kitchen with all electric appliances integrated. We have several plots in Moraira to choose from. We have positioned this villa on an 800m2 plot in a great location for a new build property within easy reach of the beaches, local restaurants, supermarkets and everything that Moraira has to offer either for an investment, holiday home or permanent residence. In this urbanization, you see only recent constructed, new contemporary luxurious villas with just a few plots left. One of the places to be in. 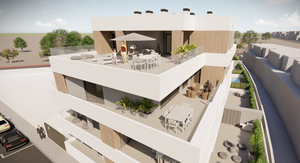 Exceptional penthouse apartments with underground parking for sale in a great Spanish Costa Calida town to be completed by December 2019. Offering a huge 90m2 of living space plus a large 50m2 terrace with great outside space. Just 22 beautiful homes are offered for sale and are set in 2 striking designed blocks with communal gardens and swimming pool zone in the middle. Introductory offer includes Kitchen White goods, LED lighting pack and Air Conditioning. There is also a garage space available, optional storeroom available (4000 Euros). These modern homes offer spacious living areas with generous terraces, and have ground floor and first floor options. Furthermore there are 6 Penthouse options with 3 or 4 bedroom options. Full pdf available and Video option to view. Contact us to secure the best apartment. 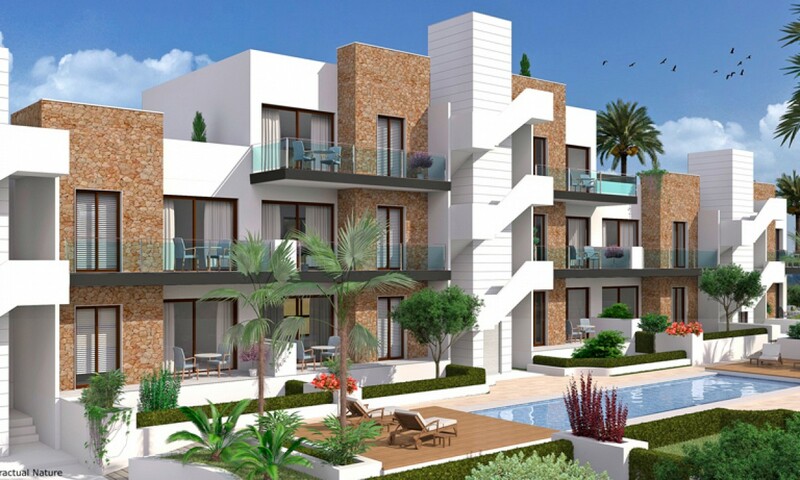 New apartments with underground parking for sale in a great Spanish Costa Calida town to be completed by December 2019. Just 22 beautiful homes are offered for sale and are set in 2 striking designed blocks with communal gardens and swimming pool zone in the middle. Introductory offer includes Kitchen White goods, LED lighting pack and Air Conditioning. There is also a garage space available, optional storeroom available (4000 Euros). These modern homes offer spacious living areas with generous terraces, and have ground floor and first floor options. Furthermore there are 6 Penthouse options with 3 or 4 bedroom options. Full pdf available and Video option to view. Contact us to secure the best apartment. 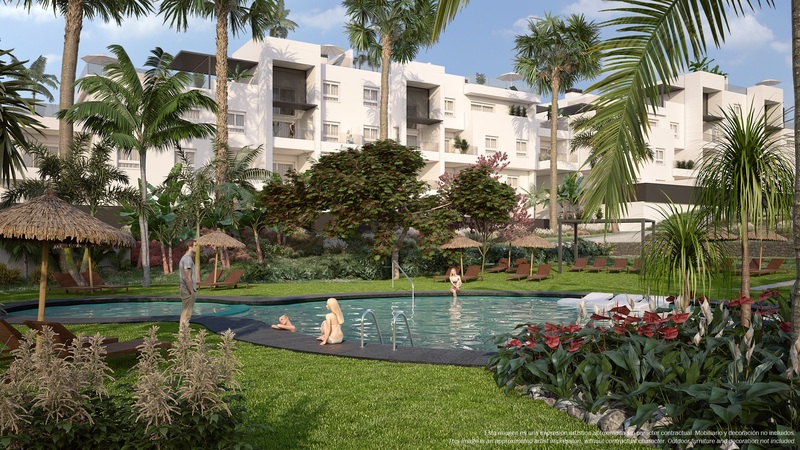 The new Cala Vinyes Hills II residential complex is a modern gated community with large 3 bedroom townhouses with spacious private terraces and gardens and underground private parking spaces. This 3 bedroom / 3 bathroom villa will be built in Moraira. With beautiful views over the Mediterranean sea. A bright and ideal home, with first class finishes.